The Supreme Court on Tuesday granted interim relief to several judicial officers of subordinate judiciary vying for appointment as district judges through direct recruitment. The Bench comprising Justice Kurian Joseph and Justice S.K. Kaul directed the High Courts of Delhi and Allahabad to proceed with the selection process of the petitioners and appoint them as District Judges without them resigning from the Subordinate Judicial Service. It, however, made it clear that their appointments would be subject to the result of the petitions pending before the Supreme Court. The main question involved in the proceedings is whether judicial officers can directly be appointed as District Judges for the reason of them having completed seven years’ experience at the Bar, and hence, without having to go through ‘promotions through the rank’. The question of law hence pertains to the interpretation of Article 233 (2) of the Constitution of India, to ascertain whether it debars those already in judicial service from appointment as district judges by way of direct recruitment and not promotion. Tuesday's order was passed after the Bench noticed that a similar order was passed by a Bench comprising Justice J. Chelameswar and Justice S.K. Kaul on 10 May. This Bench had taken noted of the existing paucity of judicial officers, and had then directed, "In view of the aforesaid position, we are of the view that the High Court may proceed to appoint petitioner No. 2 to the Higher Judicial Services without his resigning from the Subordinate Judicial Service and subject to the result of the Constitution Bench." Taking note of this order, the Court on Tuesday ordered, "Having heard the learned counsel appearing for the applicants/interveners/petitioners and also the learned counsel appearing for the High Courts, we are of the view that a similar approach can be adopted in these cases also. All the applicants/interveners/petitioners who have been declared successful in the written examination (if their results have not been announced, the same would be announced provisionally) shall be entitled to an order on similar lines." 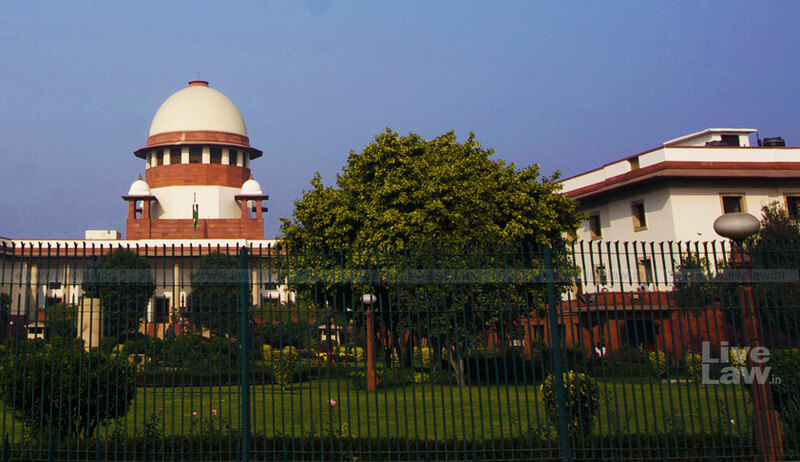 A Supreme Court bench comprising Justices Kurian Joseph and MM Shantanagoudar had, in January this year, sought a direction from the Chief Justice for reference to a larger bench the interpretation of Article 233 and the question whether the eligibility for appointment as district judge is to be seen only at the time of appointment or at the time of application or both. The bench had favored a reference on account of the diverse views expressed by the Apex Court in inter alia Satya Narain Singh v. High Court of Judicature at Allahabad (1984), Deepak Aggarwal v. Keshav Kaushik (2013) and Vijay Kumar Mishra v. Patna High Court (2016). A vacation bench of Justices UU Lalit and Deepak Gupta had then, in June, reiterated that papers be placed before the Chief Justice for appropriate orders. It had asserted that the interpretation of Article 233 for the appointment of District Judges by way of direct recruitment requires “immediate consideration”.